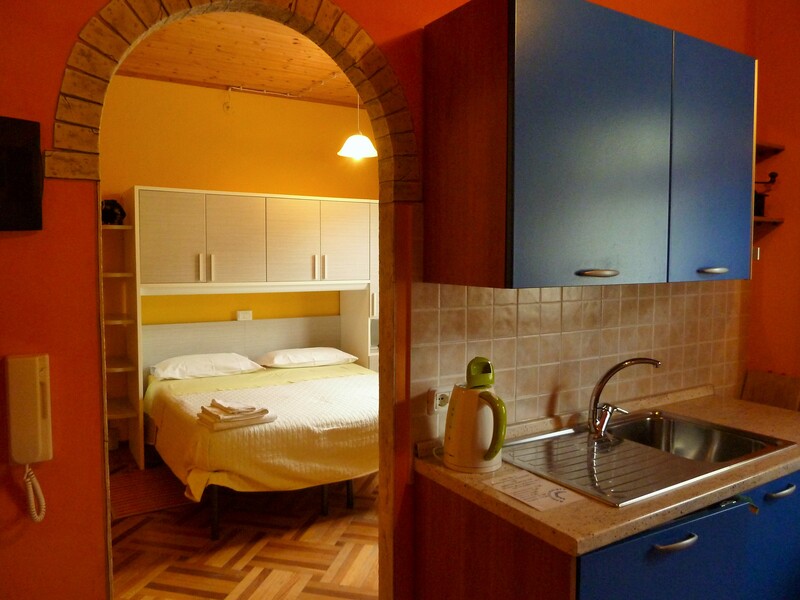 Studio with a double or twin room with balcony, wardrobe, TV, possibility of adding 3 bed. The kitchen is equipped with table, gas, fridge, sink with drainer, equipped with crockery, private bathroom with shower, sink, hairdryer, toilet. The Sardoulin can become a comfortable Mini-suite for larger families or for couples of friends through a connecting door that joins the double room with bathroom La Cournis.